Scania is now launching a connected safety vest that will increase the safety of single-lorry truck drivers. 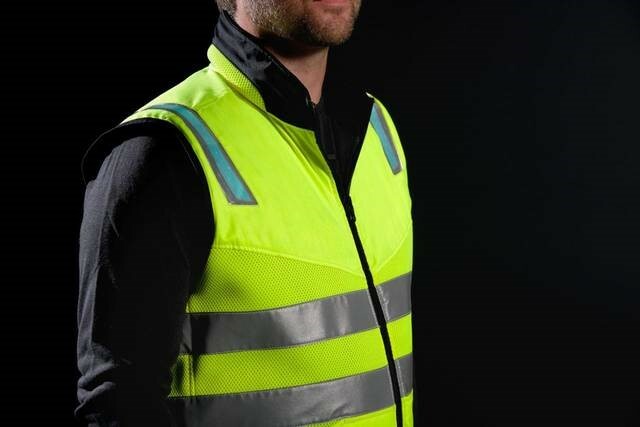 This safety clothing vest is called C-me and has built-in lighting that automatically lights up when the driver moves outside the truck. The protection vest is also equipped with a sensor that beats the alarm if, for example, the driver falls outside the truck and then becomes inactive. It communicates with the driver’s phone via Bluetooth. With the help of the proprietary Sense app, the driver can fill in recipients of alarms and how the routine for alarms should look like. For example, the app can activate the phone’s GPS system and send the position to the alarm receiver. “It was about using technology from other contexts to solve a problem that we know exists in our world, that the drivers do not often work alone and in remote places.” A fall accident or a sudden illness can then have unnecessarily difficult consequences if the driver cannot call for help, he writes in an email. This is the first time Scania has developed a connected protection vest and as far as Roan Asplundh knows, they are the first in the industry. However, similar initiatives exist. Virginia Tech, for example, has developed a prototype vest with reflective tape that warns road workers before a collision is about to occur. MIT also conducts projects in the area and sees the need for a garment that can warn, for example, of an inspector of power plants in inaccessible areas. Scania’s vest C-me is expected to be available after the turn of the year. The price is not yet set but Roan Asplundh mentions a “decent brand jacket” as a comparative example.